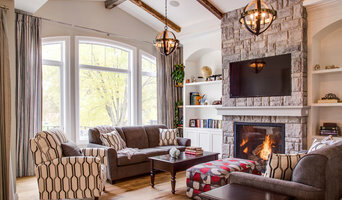 Norseman Construction & Development Ltd.
Based in Toronto, Norseman Construction & Development Ltd. has been a leader in residential renovations and custom home construction since 2005. From concept to completion, we take a client’s vision and make it a reality through a comprehensive process to ensure the finished product exceeds expectations. We specialize in the design and/or building of custom homes, additions, renovations and specialty-engineered construction. Alair Homes Forest Hill (formerly Black General Contracting) has been helping turn houses into homes for families all across Toronto for years. Put our professional trades and exceptional standards to work for you. Our team will help you through the entire construction process to make sure you get the most out of it. From design and build consultation to drawings and permits, material procurement to trade coordination, we take care of it all. The result for you is a stress-free experience and increased value for your home. Our long list of satisfied clients enjoy our transparency, our commitment to great quality, and our proven track record of projects delivered on time and on budget. 4K Developments is a highly skilled and experienced building company specializing in new home builds and additions, based in Toronto, Canada. We offer a complete set of services from design, build and renovation to meet all your building and construction needs. At Scot-Build we specialize in providing an exceptional service of quality and craftsmanship to every home build, additions and renovations completed. We are original Scottish Longhouse Builders. We have over 30 years of experience with home building and in the commercial field. From sixteen years of age, becoming an apprentice carpenter in the Royal Burgh of Linlithgow (Scotland) was the start of a long career. Once Scott became a fully time served journeyman at the age of 20 years old. It was time to start his own company. Providing services to large corporate construction companies from hospitals, offices to housing it was the beginning of a love affair to the construction industry. As time and experience progressed, attention turned in purchasing existing properties. Bringing them back to life and a high standard and offering them for sale. Also the purchase of brown field sites, gaining building permissions and building luxury homes was not uncommon. Moving to Ontario, Canada in 2007 with his family. Scott started working with a local custom home builder to learn the Canadian methods, meet local trades etc. In 2008, Scot-Build Developments Inc was formed. The company is now becoming a family affair with son Ben now becoming a full certified carpenter and daughter Robyn is a 3rd Yr Graduate Interior Designer. Looking forward in another 30 years of growth and experience. Bringing over 30 years of extensive experience to his clients, award-winning Rob Ringwald, owner of Ringwald Group, enjoys a well-deserved reputation for his passionate and tireless customer service and unerring attention to detail. Building real homes for real people allows this master builder to dovetail the best of yesteryear with the functionality of today's modern amenities. Our homes are built well beyond OBC(Ontario Building code) standard and extend to complete passive home+ standard including off-grid solutions. With over 30 yrs combined experience in the custom home and renovation space, along with our extensive experience in sustainable energy, we are excited to partner with families who are looking for a truly unique, healthy, high performance, and sustainable home. At Easton Homes, we understand that deciding to build your dream home is one of the biggest decisions you will ever make. The right builder is vital to making sure your project comes together properly and as stress free as possible. You want and need a builder who is professional, knowledgeable, and trustworthy; a builder who is committed to your project. With over 30 years of experience, Leo Cianciolo, President of Easton Homes knows that bringing your dream home to life is the culmination of creative ideas, great design and precise execution. His relaxed, confident approach will set you at ease from day one. His hands on style means you will feel connected and assured as your project develops. RS Homes is the leading luxury custom home builder in Toronto and the Greater Toronto Area. If you’re looking to build or renovate a home of the highest quality, then you’ve come to the right place. With over 30 years of experience, RS Homes is exceptionally capable of, and committed to, meeting your every need. Our fully managed services and signature design-build process will provide you with key advantages that other builders simply can’t offer. Over the last 50 years our parent company has built single family homes, multifamily residential and commercial developments. Rose Gold Homes & Design is a company thriving on perfection in build and design. We take our time with the little details, because those are the ones that go the furthest. Allow us and our creative minds, skills, and powers to create the vision you have been dreaming about in your home or business. Multiple trades working through our company allow us to complete everything within your home and business. With first class designers and managers to glue it all together. We believe that design and the look of your space is an expression of your personal vision, dreams and needs. We create every space with you, for you! Allow us to expand your ideas and transform your work or living space. Located in Toronto, ON, we are a collective group of designers, managers, trades and art directors working to elevate the exteriors and interiors of our customers. Contact us today to get a free estimate on any project you may be encountering. We bring forward the highest quality, and match it with great pricing! Since 1989, the principals at Ridgestone Homes have worked alongside their clients to capture their once imagined dreams and transform them into beautiful homes that exceed their expectations. Whether it requires designing and building custom homes that are tailored-fit, or improving, expanding and renovating existing homes, the team at Ridgestone is fully equipped and experienced to take the ordinary and turn it into extraordinary. If your dream is to have a sleek and modern design, or something traditional and elegant – we’re able to achieve it. Our team is committed to delivering your project on time and on budget. Ridgestone Home is an independently owned and operated, full service design and build firm. Our servic es include all aspects of new home construction, renovation and remodeling, expanding to commercial restorations and management. We provide a turnkey service for our clients, from design work and obtaining permits, to hand selecting features and finishes, through to completion of the build and handing over the keys to your new or renovated project. We are time conscious; finishing our projects on schedule – while still committed to providing a standard of excellence. Ridgestone Homes has received numerous local and provincial awards and acknowledgments for outstanding design, workmanship and delivering exceptional customer service. We have a reputation for reliability, innovation and quality work which is seen in our proven track record, expert skills and over 29 years of experience. We exceed at architecture and design. Taking pride in delivering exceptional client experiences, industry leading expertise and unmatched quality and craftsmanship. You can rest-assure all our projects are built and finished in accordance with the Ontario Building Code. We are focused on sourcing and supplying quality products and efficiently managing highly skilled trades people to handle the specific requirements of your project, with your budget in mind. You can be confident that your residential or commercial project is built with the finest material and craftsmanship – to surpass the highest industry standards. We work with the latest products, technology and todays design trends to provide you with superior service. Our level of expertise, commitment and excellence starts from our hand selected team of highly reliable and skillful experts in their respective field. Contact us today for a free-consultation! We specialize in the design and construction of custom homes in the most exclusive neighborhoods. Superior Construction is a Custom Luxury Home Builder is the maestro of luxurious living composing stunning homes for over 30 years. There are more reasons to design and build in Toronto instead of buying and resale. The last few years have not been very fair to homeowners. The mortgage crisis and foreclosures have led to a steep decline in home-values greatly discouraging investments in the real estate. Despite all this, however; experts in real estate still insist that it is still cheaper and convenient to design-build in Toronto rather than investing in a resale. Bay City Homes is a division of Baycrest Homes. Bay City Custom Homes has rapidly established a reputation for integrity, efficiency, and quality construction and project management services. Our experienced staff is dedicated to providing innovative cost-effective solutions without compromising client satisfaction. Canada Builds is a custom home builder located in the heart of the Kawarthas. We build our homes inside our 60,000 square foot facility. Premium Quality. Competitive Pricing. Unsurpassed Value. For Sutton West residential home builders who also act as developers, the job starts well before the first nail is driven. They perform local market research to determine whether the prospective homesites make sense in the Sutton West, ON market, as well as survey the land on which the house will be built to make sure it is suitable for construction. Custom builders also obtain the necessary permits. A good custom home builder in Sutton West, ON has skills that go far beyond construction — he or she must supervise subcontractors and artisans; keep tabs on local zoning regulations, building codes and other legalities; inspect work for problems along the way; and perform dozens of other roles that are essential in building a quality house. Here are some related professionals and vendors to complement the work of home builders: Interior Designers & Decorators, Landscape Architects & Landscape Designers, Architects & Building Designers, Kitchen & Bath Designers, Specialty Contractors. House builders are responsible for ensuring that the home-building project sticks as closely as possible to the specified timetable, particularly in the event of change orders. Custom and luxury home builders in Sutton West, ON also need interpersonal skills to deal with clients of all types, soothe frazzled nerves, negotiate conflicts and resolve problems. Find custom home builders in Sutton West, ON on Houzz. 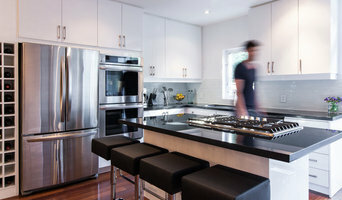 Narrow your search in the Professionals section of the website to Sutton West, ON home builders. You can also look through Sutton West, ON photos to find a house you like, then contact the builder who worked on it.